Raw Material for Cerium compounds: It is used as a raw material in manufacturing of cerium nitrate, cerium oxide, Rare earth oxide etc. It is also the raw material in making of metal cerium. 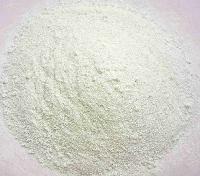 Cerium oxide is mainly used as the glass decolorizing agent and the glass polishing agent. High purity cerium dioxide is very important in the applications of rare earth fluorescent materials. It is considered to be the most effective glass polishing agent for high precision polishing. The numerous commercial applications for cerium include metallurgy, glass polishing compounds, ceramics, auto catalysts, and phosphors.